Health and nutrition are important to millennials, and it’s apparent in their grocery shopping habits. Compared to older generations, those born between 1980 and 1996 spend more at higher-end grocery stores and nutrition stores, according to a study conducted by mobile technology company Ibotta. While there, they tend to stock up on organic and natural items that can help them maintain a healthy lifestyle. 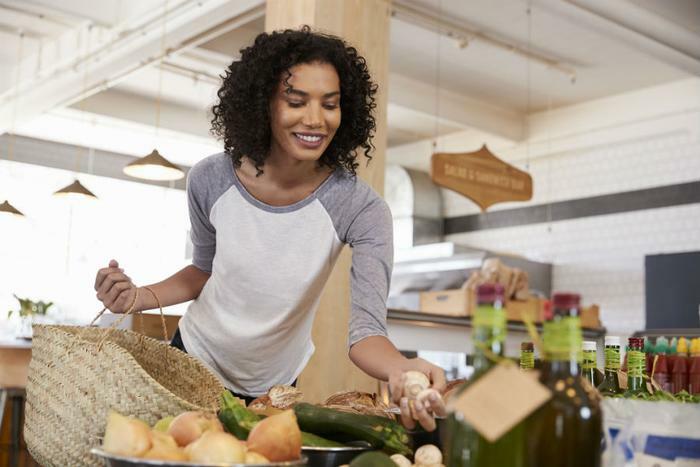 The study shows millennials shop 35 percent more often than non-millennials at places like Whole Foods, Sprouts, and The Fresh Market, likely because these stores are perceived to value traits like transparency and environmental consciousness. They also frequent nutrition stores such as GNC and Vitacost more than other generations. Certain big-box retailers are also favored by younger consumers. Findings show that millennials shop more often at stores like Costco (+14 percent) and Target (+23 percent) than other generations. Although millennials are a surprisingly frugal group, research shows they shop less at dollar stores than non-millennials. They’re also less likely to shop at pharmacies, craft stores, home improvement stores, footwear and apparel stores, and multi-purpose grocery stores like Walmart. Nutritious foods like quinoa, avocados, and smoothies help millennials stick to their goal of maintaining a healthy lifestyle. Younger consumers are also more likely to buy kombucha and other probiotic-infused beverages. When it comes to beverages, wine is a favorite among millennials -- especially rosé. The study found millennials are buying wine at a higher clip than older consumers. Sunday is the worst day to buy avocados, coffee, craft beer, and hot sauce, according to the study. Tuesday is the worst day to buy kombucha and rosé, and Monday is the worst day to buy quinoa.